China Light & Power organised a conference in Hong Kong in October 2014 to celebrate the achievements both of Daya Bay, a French-designed reactor, on its 20th anniversary and the wider nuclear power programme in China, where over 21 reactors are operating and a further 27 are being built, and another 82 being planned. Also, advanced reactors are being investigated - such as high temperature gas and molten salt systems, with the prospect of China purchasing a sodium cooled fast reactor from Russia. China is clearly the most dynamic nuclear market in the world. The continued success of the programme will depend on an absolutes commitment to safety and quality and on China continuing to train and educate the right number and quality of engineers and scientists. The conference heard from both operators at Daya Bay and from international nuclear organisations including: WNA and WANO, about the progress and achievements of China. There is growing interest in Small Modular Reactors (SMR) as an alternative to the very large reactors which are to be built in the UK to replace the aging Advanced Gas-cooled Reactors. The Nuclear Institute organised a one day conference in Manchester in September to look at the case for SMRs, the competing designs their economics and the issues of safety regulation. Tony Roulstone gave a paper on the economics of SMRs, questioning the conventional view that strong power scaling effects will make SMRs to costly to be useful and that series learning by building the same design in volume in factories can make SMRs economic when providing a supply capacity well within what is planned in the UK. These economics of volume would also make the export of SMRs an attractive business proposition. First, a design optimised for manufacture needs to be completed and a prototype built to prove the concept. Tony Roulstone addresses Oxford Energy on the competitiveness and prospects for nuclear energy, together with some of the underlying issues which stand in the ways of its wider application and success. In this paper given to the Hong Kong Nuclear Society, it is argued that modern designs of reactors can deal with major external challenges such as the earthquake and tsunami which triggered the accident at Fukushima. The most important influences on reactor safety are now human: in construction, operation, maintenance and regulation, and these should be the focus of improvement around the world. The first cohort of 15 students on the new masters in nuclear energy at the University of Cambridge started their studies on October 2011. The course aims to equip the nuclear leaders of tomorrow with the knowledge and skills to ensure that the developing world-wide nuclear renaissance has the people for its success. This course was designed by Tony Roulstone who is also the inaugural Course Director. Students have come from around the world to study a combination of nuclear technology, business and policy subjects on their year-long post graduate course. Defence Procurement Review Report launched in September 2011 after eight months work by the team of Bill Thomas, Lord West of Spithead and Tony Roulstone of Bracchium. Nuclear Investment Costs - Trouble on the Horizon? The Governments plans for a new generation of nuclear power plants financed and constructed by private companies without public subsidy seems to be proceeding to plan. However, a picture of sharply increased construction costs with volatile and relatively low electricity prices are threatening investment in nuclear. The problems with financing new nuclear are similar in nature to other capital intensive energy projects such as off shore wind and carbon capture and storage. The overriding need for large amounts of investment during the next 10 years in replacement energy generation and improved energy infrastructure is leading to questions about both the effectiveness and affordability of the current electricity market. the information on nuclear construction costs indicates that action to reform the electricity market will be required before any final decisions to invest in new nuclear power are taken in 2011. Nuclear costs - Trouble on the Horizon? It is clear that the conditions are in place for a squeeze on electricity capacity margins which will come to a head in 2015. This capacity margin crunch will result from the almost simultaneous shutting down of half of coal stations in response to EU sulphur emissions laws and the closure of the last Magnox and some of the AGR (advanced gas-cooled reactors) nuclear power stations on grounds of age. Neither new renewable generators nor new nuclear will be built in sufficient quantities and time to fill the expected capacity gap. The shape of the Government's energy policy is becoming clear but the funding of the huge amount of investment is problematic. In a an article on energy supply in IET News in June 2010, Tony Roulstone argues that the Energy Act of 2008 together with the related Climate Change Act represent a sea change for energy strategy and identifies why the lights will not go out in 2015. However, there are big decisions for the new Government in reshaping the energy market and major opportunities for UK manufacturing resulting from the investment that have to made in electricity generation which will require investment in R&D for the new clean energy sources - wind, clean coal and nuclear. The article outlines both some reasons and priorities for restarting investment in nuclear. Much has been achieved in the last two years to prepare the UK nuclear industry for the planned investment in new nuclear power stations. Two groups of large European utilities have made public commitments to a program of reactors and have announced possible sites. Two up-to-date designs of nuclear reactor are moving through the safety regulation process and a new infrastructure planning process and commission have been set-up. The questions of resources and plans are beginning to become more real. However, the current progress is something like the 'phony war' in 1939. lots of noise but little real action. The critical questions of how the stations are to be financed are dependant on changes to the UK electricity market, on which the energy regulator Offer is consulting. Not until this is process complete and the reactors are cleared for build in 2011 will contracts be let. In the near term and once the election returns a Government with a fresh mandate, the key issue financing can be addressed and we will begin to see tangible rather than prospective evidence of engagement and of commitment. 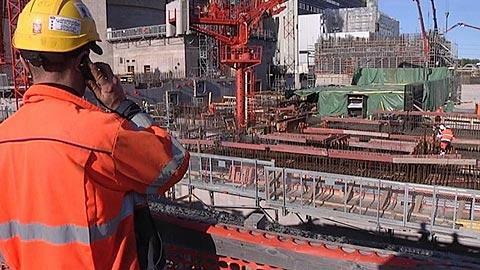 The acumen7 'Insight' by Tony Roulstone (attached) develops these ideas together with its ability to contribute to the re-construction of the UK nuclear industry. Nuclear R&D in the UK has almost stopped and the capability for development run down to a low level. With the re-invigoration of nuclear energy driven by the needs of Climate Change and Energy Security the scope for universities to develop new strategies for R&D is examined and some points of nearer term growth are identified. During the next two or three decades, most of the nuclear power stations built will have Light Water Reactors (LWR), therefore the most important priorities are to support of LWR continued improvement and to develop new fuels based on thermal breeding from Uranium or from Thorium. 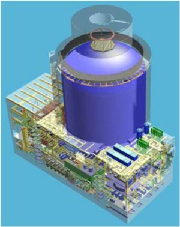 Once the new LWRs are established, new designs of reactor such as those identified by Generation IV International Forum, including perhaps an Accelerator Driven Sub-critical Reactor, or fusion reactors based on the latest technology fusions demonstrator - ITER, will become more important. In the attached presentation(link below), Tony Roulstone develops some of the ideas relevant to defining a strategy for university R&D. - Preparaing the construction teams and capabilities for what will prove to be one of the largest and most challenging construction programs of the first quarter of the 21st century. Tony Roulstone describes (see link below) the progress made and some of the current concerns of the UK nuclear industry. Climate Change is the topic of the moment. Solutions that are being promoted based essentially on setting global and national targets and then seeking to deliver these through either a mixture of regulation or compulsion, or by market-based differential pricing of energy. The nature of the solutions has had much less study and the routes and steps to be taken are not mapped out. The paper (link below) describes a different approach based on scenarios, with analysis which includes the real world considerations of risk and the concrete steps required to develop the options which are currently not available. This approach will provide a clearer view of the ways in which Climate Change can be tackled in a world where markets are imperfect, and do not have the foresight to deal with a problem that has huge lead-times and is of such crucial importance. It may be hard to sense but nuclear power is making progress. Since the Energy Review of 2006, much has been accomplished even if the tangible evidence of achievement – ‘green shoots of progress’ are yet to be seen. Much of the progress is in line with the report – Accelerating Nuclear Power of 2007 (which was written with a working group from acumen7) – perhaps without the coherence and the urgency that was proposed at the time. Activity is being coordinated by the new Office of Nuclear Development within the new Department for Energy and Climate Change. Establishing this type of focus was one of acumen7’s main recommendations. Other ideas that we promoted for clearer industry involvement, targets and plans for nuclear generation and a minimum carbon (or electricity) price, or other form of funding support, are yet to be taken up by HMG. As described in (Making Progress - link below) we believe that these further measures would provide the sorely needed impetus to address the important, linked problems of Climate Change and Energy Security. In January, after almost a year of consultation and deliberation, the UK Government agreed to endorse nuclear power. However, in the White Paper the endorsement was so hedged around with conditions and doubts that it amounted not to the “full steam ahead” for which the industry had hoped; rather it is a limp “quarter speed ahead”. Progress with the construction of any new nuclear power stations in the UK will be very slow. As agued in the paper below, more is required in the areas of economics, targets and mechanisms to accelerate nuclear new build. This paper was published in Nuclear Energineering International April 2008. A paper on the decisions UK Government will have to make once they have signalled the freedom for the private sector to invest in nuclear power. Small volumes of competing reactor designs and utilities may lead to 15% higher electricity prices. Scope for nuclear contribution to grid has a limit closer to 60% of the installed capacity, than 20% at present. These decisions should recognise the major scope for replacing of dirty fossil fuels with clean energy technologies such as nuclear. Joint task force should put in place the conditions for new build & ensure the programme is delivered. acumen7 identifies the essence of the Energy White Paper of 2007. It is a large document (main report 343 pages, with 10 Mb of supporting detail in 22 papers). 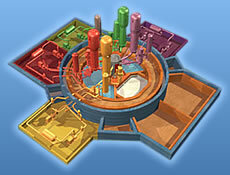 It covers the whole field of energy use and generation, including industry, transport, heating, household use etc. The paper considers all means of generation – nuclear, gas, coal, bio-mass and renewables (including micro-hydro). Because of the ongoing nuclear consultation (until 10 October 2007), the paper is very circumspect about nuclear power. Meanwhile it is quite relaxed about both long term forecasts of energy use and of other means of generation such as wind, and the yet to be proven CCS. To some degree the White Paper is constrained by its forecasting horizons. It uses two dates: 2020 and 2050. The first, is driven by Kyoto climate change commitments and is too short for major shifts of generating technology that depend on heavy capital investment. The second is so far ahead that almost any change to economics or technology can be viewed as possible. However, studies of 2050 do not provide a basis for setting a firm direction of travel. The acumen7 network of consultants, engineers and scientists mounted a fascinating “off the record” seminar on the eve of the publication of the Government’s energy review on “The Nuclear Power Equation” looking at the logistics, costs, benefits, and time lines for the prospective replacement of Britain’s ageing nuclear energy facilities. The key question for the seminar was not “Should we replace nuclear facilities” but ”Could the time to build and commission nuclear power stations be halved by employing the latest thinking in modular design and off-site/factory construction methods?” The panel of speakers was impressive, chaired by Philip Dewhurst, Chairman Nuclear Industry Association and the thought provoking evening was kicked off by Tony Roulstone, ex MD of Rolls Royce Nuclear, and now an acumen7 member, who outlined the scale of the nuclear power replacement challenge facing the UK which, was first into nuclear power after the war and now the majority of these pioneering stations are reaching the end of their natural life. Drawing on the experience of both the series production of nuclear reactors for submarines and the construction of new nuclear power stations in the Far East.